It award ceremony was attended by stakeholders in the digital finance industry across Africa and the globe. While acknowledging the award, Co-founder and Director of Marketing, Legal and Compliance, VoguePay, Mr. Geoffrey Weli Wosu, reiterated VoguePay’s commitment to excellence, and explained that the award came on the heels of several industry recognitions to VoguePay in 2016. These include being honoured as the “best online payment in Africa” at African Achievers Awards which FORBES Magazine rated as one of the most prestigious award ceremonies that represent the whole of the African continent. Head, Digital Media and Strategy at VoguePay, Wole Ogunlade, noted that the award was well deserved given VoguePay’s innovative solutions as a payment bridge that connects Africa with the rest of the world. 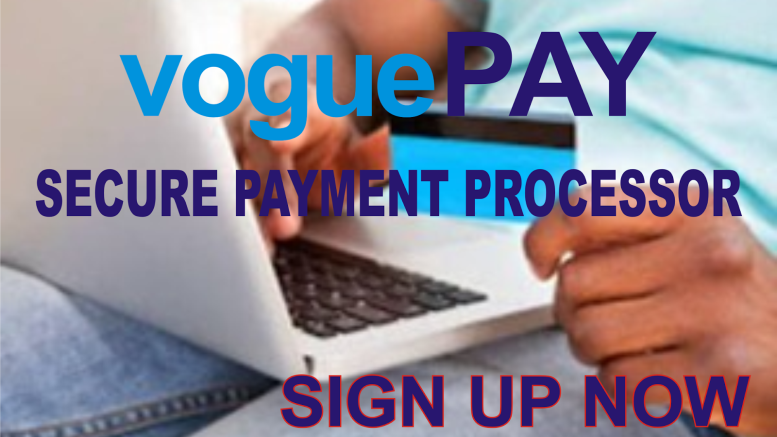 He noted that VoguePay is the biggest payment gateway by merchant size in Nigeria and also serves customers in four continents including North America, Europe, Asia and Africa. The CashlessAfrica awards, which held as part of CashlessAfrica expo celebrated innovative fintech solutions across 15 categories honouring individuals and corporates. Some of the award recipients across Africa include Diamond Bank, TransferTo and WorldRemit, among others. Be the first to comment on "VoguePay Wins Best Fintech Startup Award"